Watermark Learning is happy to feature our affiliate Brian Hunt, CBAP, who illustrates how a bread making machine can be used to understand any business process. Many recruiters call for specific domain experience when they want help in process redesign. But, whether your product is life insurance, cakes or motorbikes, the principles of business process are the same: you want a defined output from a set of inputs, and you want that output to be provided at consistent time, cost and quality. To do that, you need a designed and managed process. The process objective is ‘I want a loaf of bread’ and this will be produced to the users satisfaction if the right ingredients and quantities are put into the mixing pan, if the controls are set correctly and the process constraints are understood. As it takes approximately 2 hours to bake a loaf, expecting this to be done in 20 minutes may result in the dissatisfaction of the uninformed user. If you try to make a process do more than it is capable of, it will fail. If you commit to producing what you can’t provide, then short term workarounds might work, but the process will not be sustainable and delivery dates, cost and quality will suffer. The process requires resources for it to operate. For the bread maker, these resources are a reliable electrical supply and adequate level work-space with sufficient size, position and strength for the bread making machine to sit on. Any process can be understood in a similar way: define the desired output or outputs, the inputs required to achieve these outputs, the transformation or process required to act on these inputs, the process controls and constraints and the resources required for the process to operate. These resources may include internal or external data, natural resources, finance, suppliers, intellectual property and entrepreneurial skills. With business processes, gaining this understanding may mean mapping out the process using marker pens and post-it notes. For a deeper dive into this topic, please see our course on Business Process Modeling. All outputs require energy for their production. In the breadmaker example, there will be several outputs: the wanted output of the baked loaf and the unwanted outputs of heat and noise. These unwanted outputs are wasted energy and a quantifiable measure of efficiency process efficiency. These are equivalent to waste activities in a business process. Understanding the component parts of the process allows you to see how else that process can be used. For example, lateral thinking shows that the bread maker can also be used for making jam. A business process may also have multiple uses. As a process user, we only need to know how to use the machine; we don’t need to know what is ‘under the bonnet’. 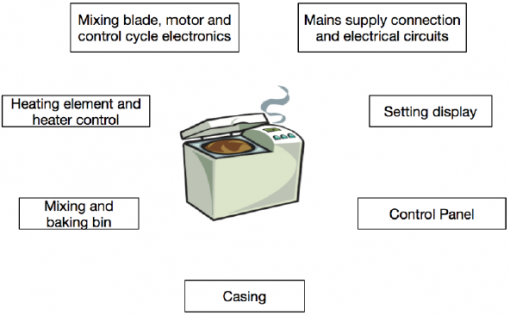 If we want to change it or repair the bread maker, we need to know how it works. This is equivalent to business process review and re-engineering. These components are equivalent to process groups, and could be further decomposed (i.e. taken apart) to see what’s in them. That lowest, nuts and bolts level is sometimes called an atomic process because it can’t be taken apart any more. That would be equivalent to a flow chart which shows individual activities. 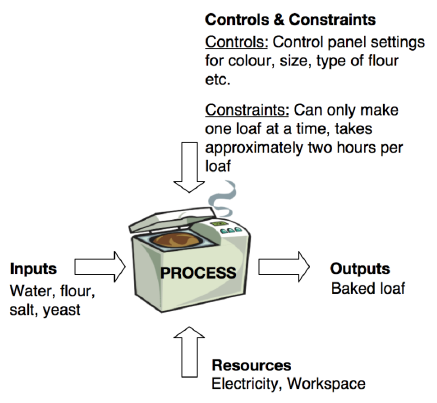 You can think of the bread maker as a metaphor for an organisation, and its components as the departments that connect together to work as a designed system that provides what a customer wants and creates profit. That’s also a simple process architecture model. As organisations grow organically or as a result of acquisition, their business processes can become tangled, causing inconsistency, delay and error. I untangle these processes into clearly documented, simplified and lean business processes that show what people do, why they do it, how they do it and who they do it for. For more information, visit businessprocessagility.com or https://www.linkedin.com/in/brianhunt/. 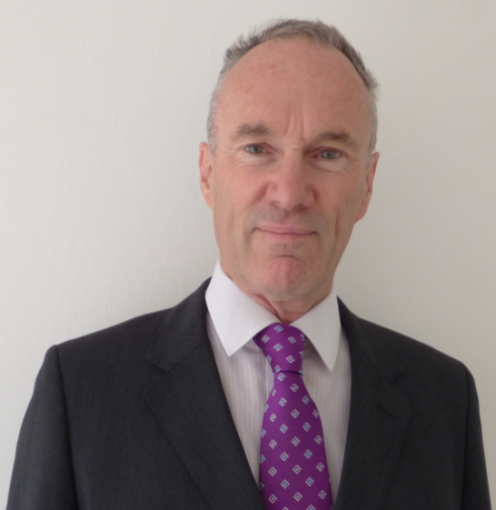 You can contact me on brian@businessprocessagility.com or mobile +44(0)7828 438088. Watermark Learning provides training and coaching in Business Process Management. You can earn PDUs and CDUs by writing articles for us, just like Brian. If you have an idea for an article, contact us today.